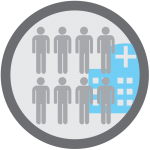 The purpose of a RMC is to serve as a strategic hub, collaborating with clinical leaders to manage employee throughput against patient throughput. In other words, the RMC functions as an administrative support team, freeing managers to focus on patient care and staff mentoring. Avantas provides outsourced RMC services where we handle the 24x7x365 administration for health systems in addition to consulting engagements and ongoing education to help a health system establish their own internal RMC. The RMC is an integral part of an enterprise approach to managing labor, going well beyond the functions of a call center. 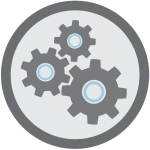 This strategy allows for in-depth schedule analysis and reporting functions while coordinating and carrying out a system’s workforce management, deployment, and alignment strategies. The ability to view resources at the enterprise level allows for a more objective and strategic approach to placing staff that will benefit the entire system. One myth of this strategy is that units lose control of the decision-making process relative to staffing. This is not the case. RMC staff do not make clinical decisions. Those decisions are made by a clinical decision maker, typically a house supervisor. 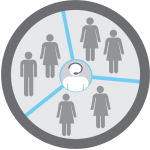 Aided by real-time staffing information, the clinical decision maker works with the RMC and unit managers and directors to ascertain the entire staffing picture and makes decisions based on a complete understanding of all the issues and resources in play. This “30,000-foot” view of resources enables the RMC to easily assess and clearly convey all possible movements to the assigned clinical decision maker, resulting in a standardized, cost-effective and repeatable method of resource management and deployment. A major responsibility of the RMC is to look at the upcoming schedule, days and weeks in advance to identify holes (based on forecasted demand). Research conducted by Avantas at two multi-hospital systems clearly showed that reactive, last-minute recruitment of staff to fill immediate needs (regardless of incentives) is not nearly as effective as proactive recruitment. Proactive recruitment satisfies one of the key staff motivators relative to picking up a shift: convenience / work-life balance. The sooner a staff member knows of an opening the sooner they can make plans in their schedule to fill it. The RMC operates under a systematic recruitment structure, working first to sign up staff who are not scheduled to their FTE, then staff who would not be put into overtime, etc. A RMC reduces labor costs in many ways, but the single largest cost savings comes from the shift away from a silo strategy of managing labor. 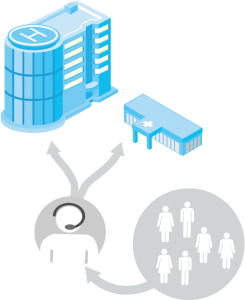 With a silo-approach, a director or manager concentrates on his or her own department or units without a complete picture of what is going on elsewhere within their hospital. This often results with some units sending staff home while other, similar units, utilize overtime or bring in more expensive, last-minute sources of external staffing, or simply run short. This does not happen when staffing is coordinated at the enterprise level. 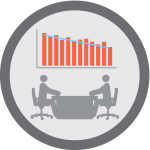 The economies of scale that result from the implementation of a RMC increase the larger the organization is, but stand-alone hospitals benefit greatly from this strategy as well. Balancing schedules, ensuring staff are scheduled to their FTE, proactively identifying upcoming gaps in the schedule, and certain administrative duties – all the things that previously were handled at the unit level – are now handled by a few highly-skilled staffing analysts in the RMC. These staffing analysts support the entire organization, returning between 7 and 15 hours back to unit managers every pay period. 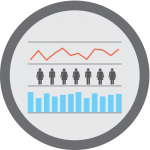 These economies of scale are realized to an even greater extent when the staffing and scheduling end-to-end is automated with a comprehensive healthcare scheduling software solution. The RMC provides a degree of separation between staff and the decisions made in the interest of patient care. This results in more objectivity when placing resources and reduces emotion-based decision making. The consistent application of standardized processes promotes fairness, improves morale, and leads to predictable and sustainable results. 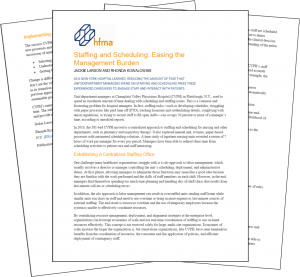 Learn how one Avantas client realized significant time savings through automating processes and the implementation of customized best practices, including a RMC.